Eating sweets in moderation can be the perfect way to celebrate and enhance life's flavor — no matter what all of the sugar-hating documentaries, books and websites are saying right now. Ignore the naysayers, grab your favorite people and check out some of the most delicious and inexpensive (nothing above $4.50) treats in the Inland Northwest. You can eat salad tomorrow. An obvious choice to be sure, as Sweet Frostings has been a Spokane favorite since it opened in 2011. It's not the company's cupcakes (which aren't super expensive either) but rather its French Macaroons that we're here to talk about. 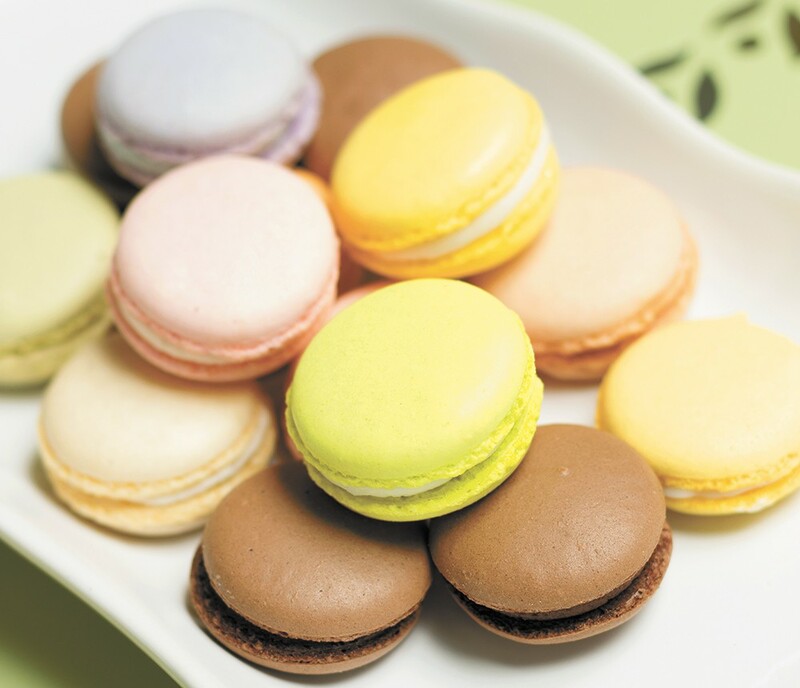 Coming in gooey, sweet flavors like Strawberry Champagne, Key Lime and Salted Caramel, the macaroons are made in-house daily and are just $2 each. These things are like a blast of sugar to the senses. Pop into the bakery with a few friends in tow and each get one to share. One bite is all you need. Here's where you're going to get your chocolate fix, people. For just $3 each you can get German Chocolate Cake or even better, Chocolate Peanut Butter Pie, in a tasteful square shot glass. The peanut butter sample comes with golden nuts and dark chocolate sprinkled on top and a crumbly chocolate crust underneath the peanut butter filling. With other flavors like Crème Brûlée, Key Lime Pie and Cheesecake, this is another place to bring your friends and/or lovers for dessert, bask in the golden-tusk elephant décor, and share delicious, filling bite-sized treats. This is frozen yogurt done the old-school way. None of that bright, modern interior that you get from other yogurt chain establishments. Instead, you get the same friendly, mom-and-pop-shop service that Didier's has featured for more than 25 years. The best day to check it out is Yogurt Tuesday, when it's $1.99 for a medium yogurt flavor of your selection. Daily, there are eight flavors to choose from, like cookies and cream and Strawberry Shortcake. Additional toppings run an extra 74 cents for candy and 84 cents for fruit toppings. Any other day of the week, a small yogurt will run you $3.19. It shares the first three letters with Didier's, but Did's is another North Spokane treat unto itself. Walk into the Hawaiian-themed joint and your senses are bombarded with a cacophony of people and video game beeps and whirrs. The name of the joint alludes to its yogurt, but it's the Hawaiian Shaved Ice ($2.71), which comes in dozens of flavors, that makes the place stand out. Each order of ice is freshly shaved in front of you, with your choice of up to three types of syrup drizzled on top. That first bite of shaved ice isn't all that amazing. But like watching the first season of Parks and Recreation, you have to keep going to get to the truly delicious stuff — that last syrupy-filled third of the dish.